In today's business world it's more important than ever to find the right fit when working with direct marketing service providers. I'd like to share a story of how Talon was big enough to help a client in need and at the same time the right fit to fulfill an urgent request. 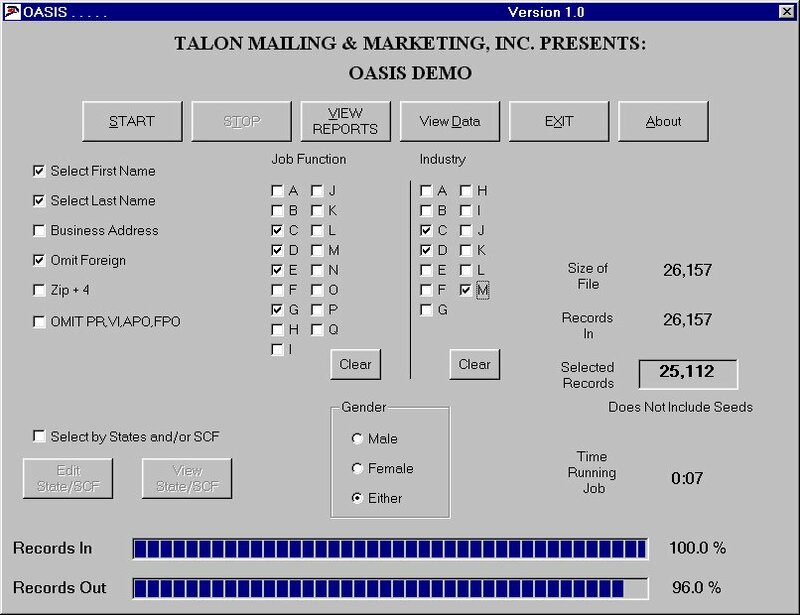 Recently a long-time client of ours had planned for Talon to perform a complicated merge/purge. The data processing and subsequent mailing had been planned for months. To perform the merge/purge, Talon was to receive and process numerous lists, comprising 86 segments from outside companies. The lists and the mailer's house files totaled 1.4 million names, and were to be merged, cleaned, run through the National Change of Address system and then run against the Direct Marketing Association's do not mail file. 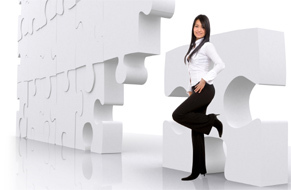 After performing these steps we would supply our client with final mailing counts. 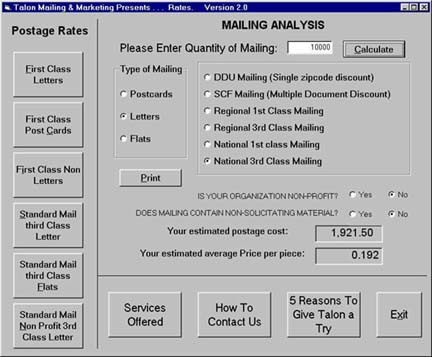 Based upon those counts our client would instruct us how to split the names into various mailing lots, assign keycodes and salutations, upper/lower case and reformat the data. The final step was to send the data electronically to it's final destination for mailing. Unfortunately, beyond our control, some of the outside lists that were to be used were quite late in getting to us. The merge/purge was due to be completed on a recent Monday and even though the last few lists were finally received by us on the Thursday before the Monday due date, Talon was still on schedule. Then on Friday we encountered a problem: Our computer programmer, Stephen Ruddy who had been assigned to run and complete this job by Monday had an emergency and learned that he would not be able to work on Monday. A key employee out of work, or starting a planned vacation before a project is due could be a problem at a smaller company as it may not be possible to have enough coverage of skilled and trained professionals to take their place. This could even be a problem at a larger company since juggling of resources has to be done to complete a job on time. Compounding this problem is the recent difficult economic times: small, medium and large companies are down-sizing so finding enough coverage when key people are out of the office becomes more difficult. Fortunately, at Talon, we pride ourselves on having a top staff of full time computer programmers who have been with us for at least ten years each. They have been crossed trained to run any job and our documentation on how to run projects and the steps that already have been completed during a job are second to none. I knew that Talon could easily get this project done by Monday's due date - one business day from when adversity struck. However, it would not be this simple and that's where the "good fit" of this story starts. Although my staff has been crossed trained and we could easily complete the project by Monday, our client feels very comfortable working with Stephen Ruddy on their projects. They feel that Stephen really knows their requirements and together they work on numerous projects throughout the year. 1) If the client had built an extra day into the mail schedule (which sometimes happens) the job would be completed by Stephen on Tuesday when he returned to the office. 2) If the job had to be completed by Monday afternoon we would have another member of our staff complete the project by the required due date. 3) If the client wanted Stephen to run the job, Stephen was pleased to finish it on Saturday. If you know my staff than you know of their "can-do" philosophy and this option would not come as a surprise to you. Obviously, there would be no overtime charges to the client for this option. The client greatly appreciated our flexibility and they were most comfortable with option three - completing the project on Saturday. As Talon promised, the job was completed on Saturday and sent along to it's next destination - right on time. Talon will continue to make sure we have the experienced staff and depth to get our client's projects completed on time. If you are not a Talon client and have been frustrated by late projects or concerned with poor customer service or inflexible options perhaps it's time you called us. Michael Borkan can be reached at 631-667-5500 x 11 should you wish to discuss how Talon might be the right fit. The Top 8 Direct Marketing Offers of All Time. Offers are the heart of all direct response advertising. Naturally, the better your offer is, the better your response will be. Raising response is not your only concern, of course. 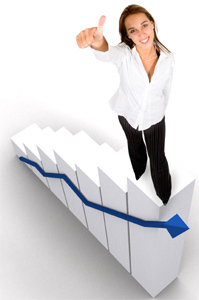 For example, it may be more profitable to get a lower response from a more loyal group of buyers. Or perhaps you want orders to come in faster. Or you may need to lower your cost per sale. In most cases, though, it’s best to start by getting your response rate high, then adjusting your offer over time to maximize your profits. Every offer you make has different characteristics. So, it pays to test. • Free Trial. This may be the best offer ever devised. A customer can try out your product free and without obligation for 10 days, 15 days, 30 days, or more. The time frame should fit the product. This offer removes risk for the prospect, overcomes inertia, and works with just about any product. • Money-Back Guarantee. This is perhaps the second best offer. A customer pays upfront but, if dissatisfied, can return the item for a full refund. Like the free trial, this offer removes risk but allows you to use customer inertia to your benefit since few people will take the trouble to return something. • Free Gift. When you offer a freebie your customer wants, your offer will usually outpull a discount offer of similar value. That’s because a gift is a more tangible benefit. This also has the advantage of not devaluing your product with a price reduction. • Limited Time. An offer with a time limit gets more response than an offer without one. You can display an exact date or suggest a response time frame, such as 14 days or 30 days. This forces a decision. And the faster you can force a decision, the more likely it will be in your favor. • Yes/No. You ask your prospect to respond positively or negatively, usually by affixing a “yes” stamp or a “no” stamp or by checking one of two boxes. This offer is involving and usually pulls more response than an offer that does not offer a “no” option. It works because it clarifies the need for a decision right away. • Negative Option. This pulls better than positive option offers. You offer a free trial or a special deal on a product then automatically ship future merchandise unless the customer specifically takes an action to refuse. Just make sure this arrangement is clear. People become very unhappy when you start shipping and billing for items they didn’t know they were ordering. • Credit Card Payment. Nothing is easier than paying with plastic. These days, there’s no reason not to accept payment this way by phone, mail, fax, or the Internet. In fact, this has moved beyond an offer and has become an expectation. • Sweepstakes. This increases your order volume if you’re selling easy-to-understand impulse items. However, these customers aren’t loyal, and you may find yourself forever trapped in an endless cycle of contests. Dean Rieck is a top-ranked freelance direct mail and direct marketing copywriter. He has been called "the best direct response strategist and copywriter" in America. Dean offers complete copywriting and design services for direct mail, B2B, print, sales lead generation, sales letters, e-mail and online marketing, and radio advertising. For more tips on improving your direct response advertising results, subscribe to Dean's free direct marketing newsletter at www.DirectCreative.com. Tuesday February 10th, 2009 7PM. Islanders vs. The Los Angeles Kings. Whorunsgov.com- a unique look at the world of Washington through its key players and personalities. Pjtv.com - a Media 2.0 internet TV venture focused on covering news, opinion, and issues of the day. Nbr.com - For 30 years, Nightly Business Report has provided business news in a fast-paced format. Check out their website. Alerts.com - The information you want when & where you want it. Choose items of interest & this site will send news and information to you by email or text messages. Theradio.com - Search and listen to your favorite artists, songs and music channels, FREE on the theRADIO.com. Hulu.com - a free online video service that offers hit TV shows including Family Guy, 30 Rock, NBA and the Daily Show with Jon Stewart, etc. Dailypuppy.com - Find cute puppy pictures and videos. Learn how to care for and train puppies. Submit your puppy to be the daily puppy, create profiles for you and your dogs. Marvelkids.com - Create Your Own Superhero.